Maruti Suzuki recently launched the top spec automatic petrol variant for Baleno at INR 8.34 lakh (ex-showroom Delhi). The car is identically same to the top spec Alpha variant but carries CVT in place of the manual 5-speed gearbox. This takes the total number of variant to eleven, out of which, three are carrying automatic gearbox options. The CVT is only offered on petrol variants as diesel simply come in four variants with 5-speed manual gearbox. 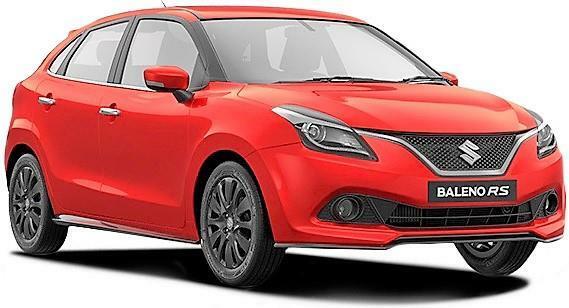 Baleno starts with a price tag of INR 5,26,275 for the base Sigma petrol variant while top spec Alpha diesel comes for INR 8,42,766. If diesel is not your choice, getting a boosterjet 1.0L petrol is again a great option to own. The turbocharged petrol engine is good for 101 BHP and 150 Nm of torque. This version comes with four disc brakes and cost INR 8.69 lakh in Delhi (ex-showroom). The lightweight body comes with more rigidity and carries features like projector headlights, ABS, dual airbags and reverse parking camera in the top spec model.